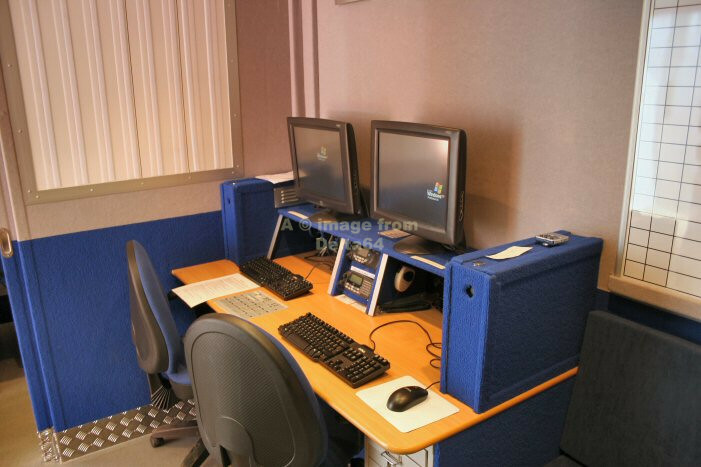 This page contains a selection of general pictures plus vehicles which are either not yet allocated, not allocated to a specific station, or the exact allocation is unknown. 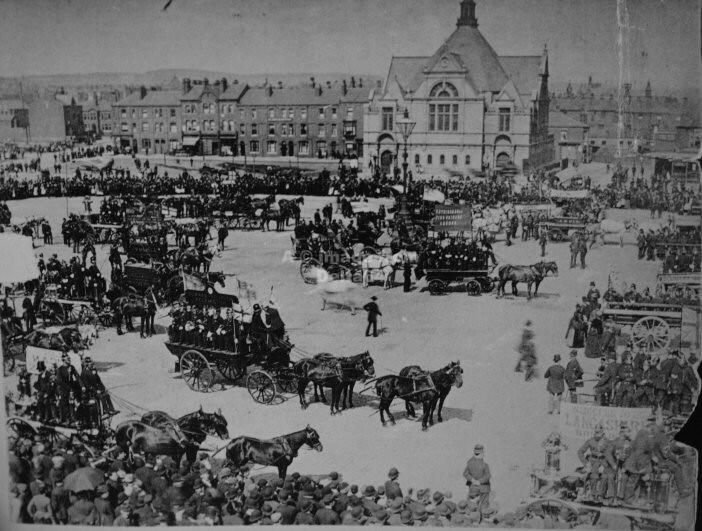 Lancashire Fire Brigades' Friendly Society 15th Parade held on the Market Square, Wigan in 1890. 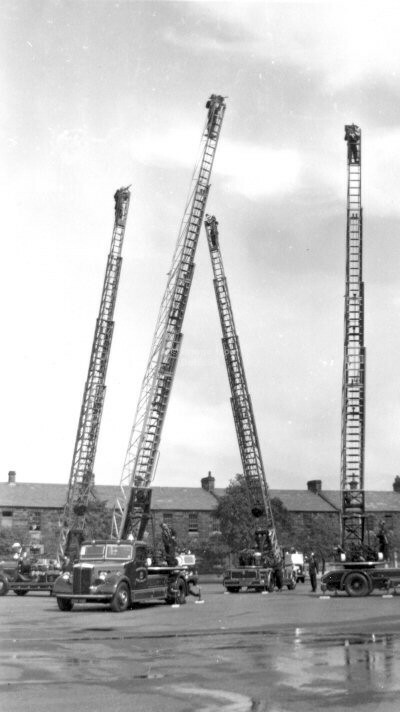 The turntable ladder demonstration at the Annual Brigade Inspection at Fulwood Barracks, 19 June 1953. 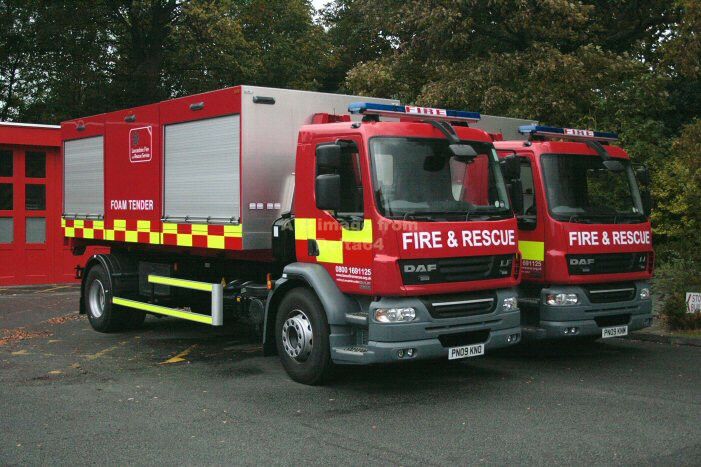 On the far left was KTF847 from Ashton-under-Lyne, whilst facing the camera was LTF716 from Accrington. Surely a unique picture! 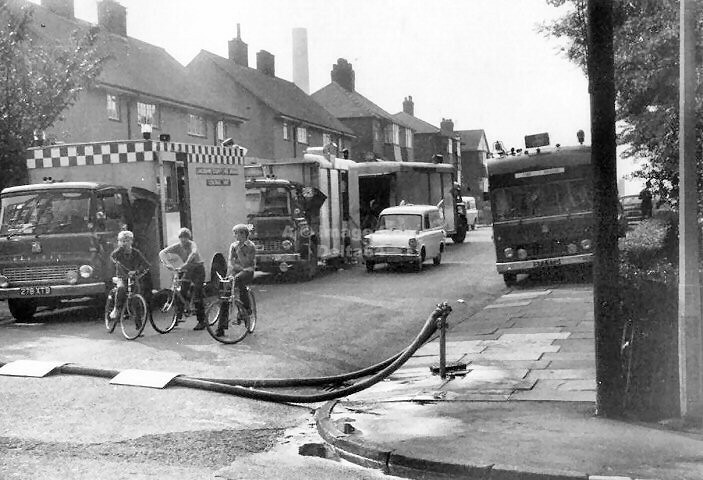 One Control Unit and three Emergency Tenders at Park Mill, Royton, 8 August 1970. 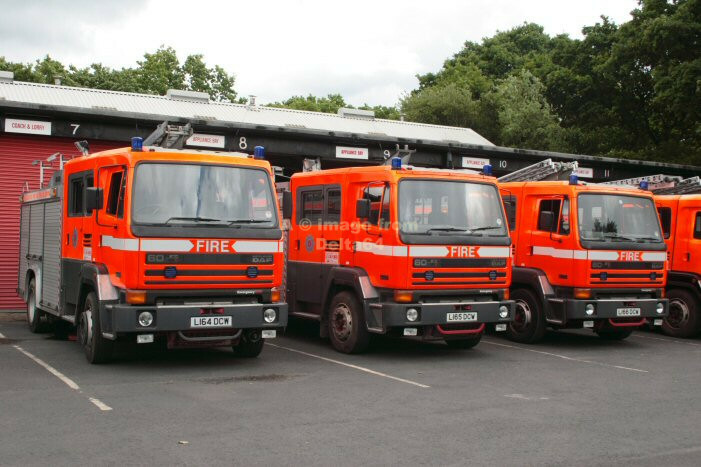 L to R 278XTB ~ E74 Agecroft, HTE554F ~ D62 Eccles, 1393TF ~ E70 Chadderton and 577YTD ~ F80 Accrington. 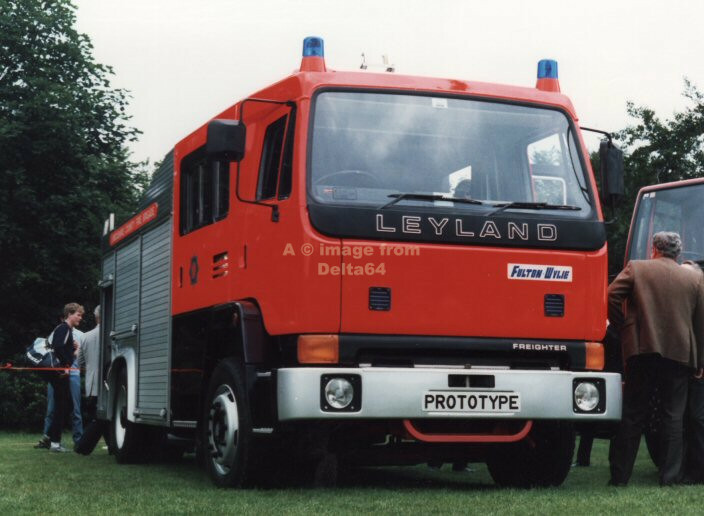 The prototype Leyland Freighter was seen at Witton Park, Blackburn in 1986. 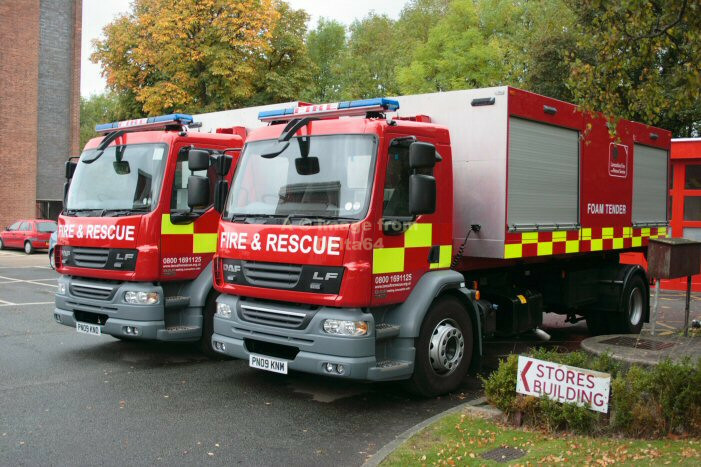 It is likely that this is another shot of the appliance above. 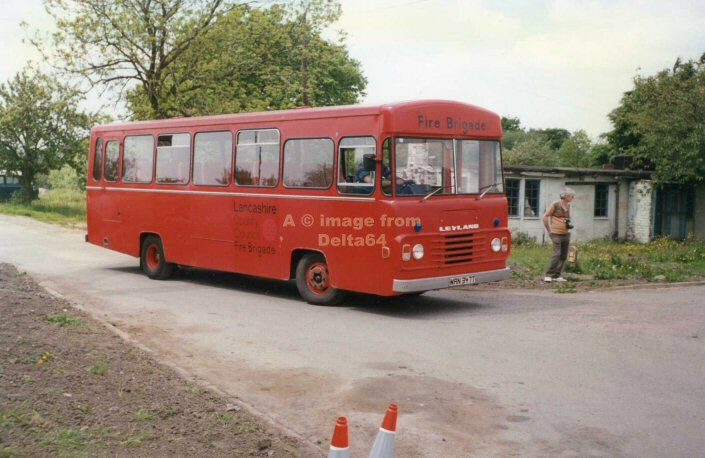 Almost certainly a unique shot, at least since striping was added, of Emergency One bodied Leyland 60s ~ L164/5/6 DCW ~ 19 June 2008. 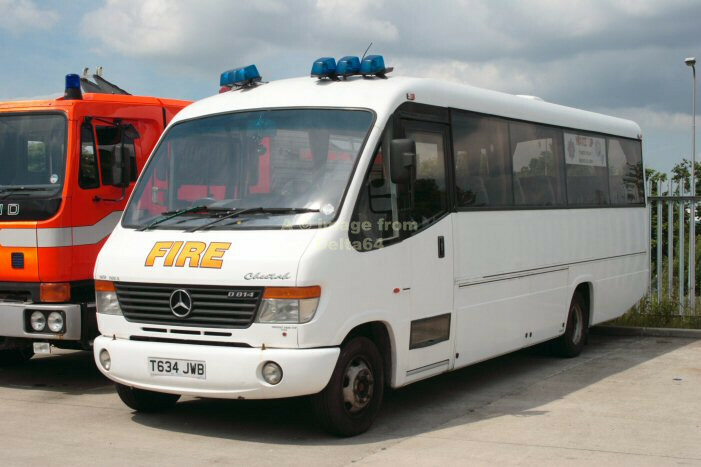 Mercedes Cheetah 26-seat coach T634JWB was used as a PCV and as a spare Control Unit. 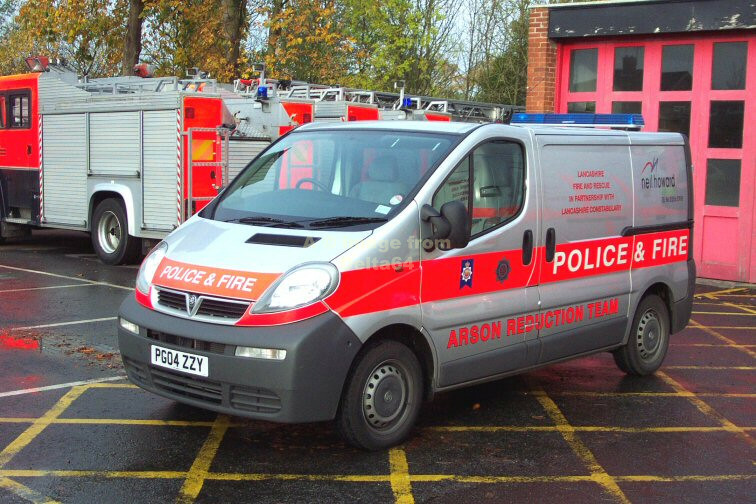 It was seen 16 June 2009.
and Lancashire Constabulary was based at Wesham Fire Station. 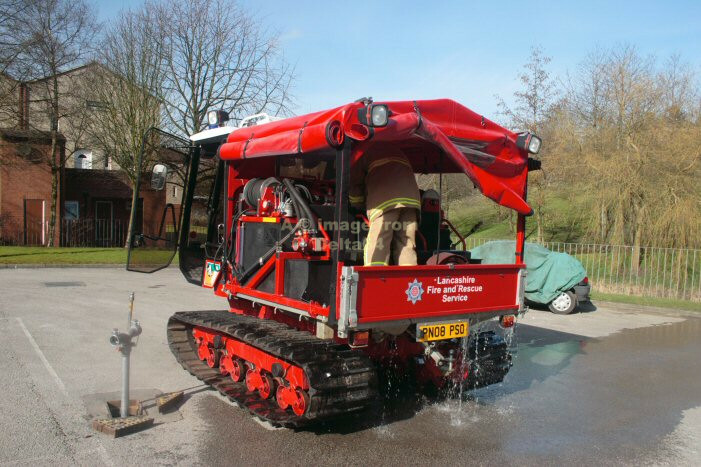 PG04ZZY was photographed at Fire Service HQ, 5 November 2004. 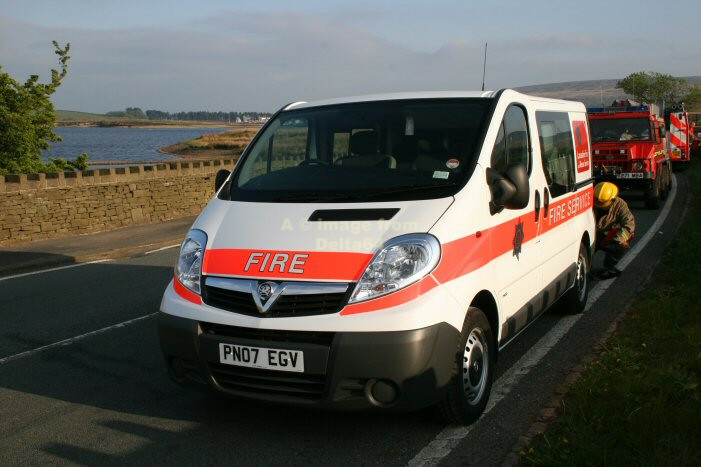 Vauxhall Vivaro PG04ZZY had become the reserve Mobile Fire Station when seen at Morecambe, 12 January 2009. 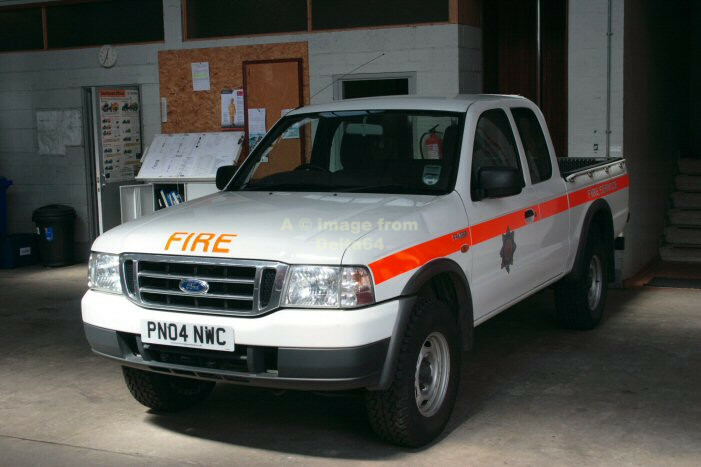 Ford Ranger PN04NWC was seen at Burnley Fire Station, 7 May 2009. 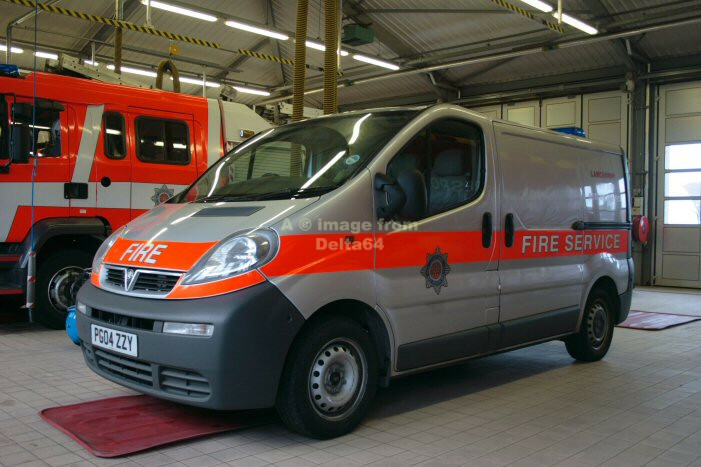 This new Vauxhall PCV was seen at a 10 pump incident at Belmont, 4 May 2007. 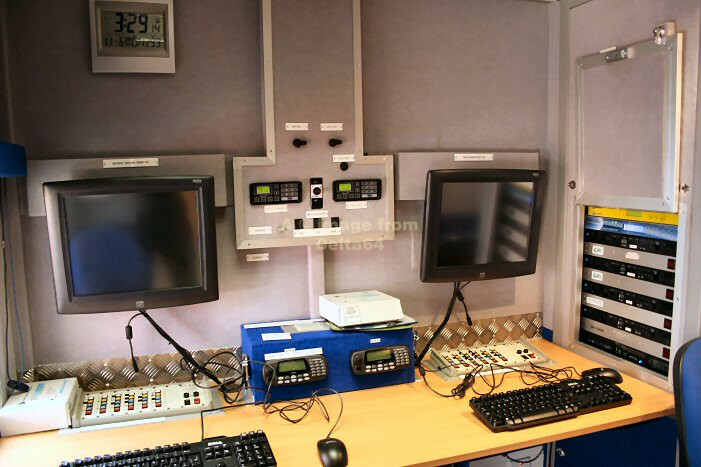 Main Control in the new CSUs with Fire Ground Radio on the left and Main Scheme Radio on the right. 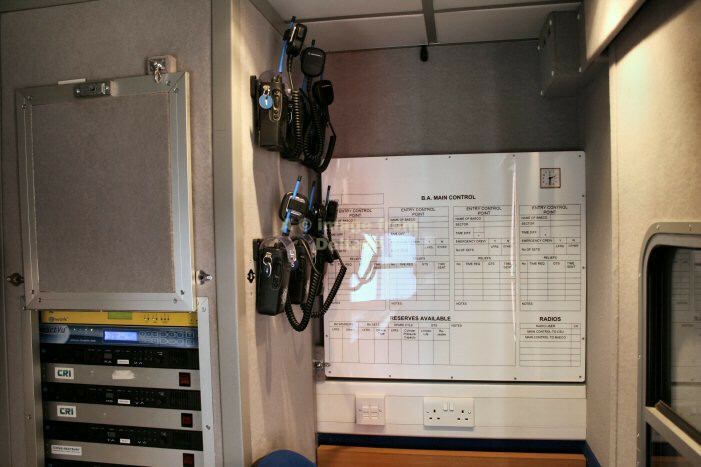 Additional Computer Terminals which can be used for mapping incidents etc. 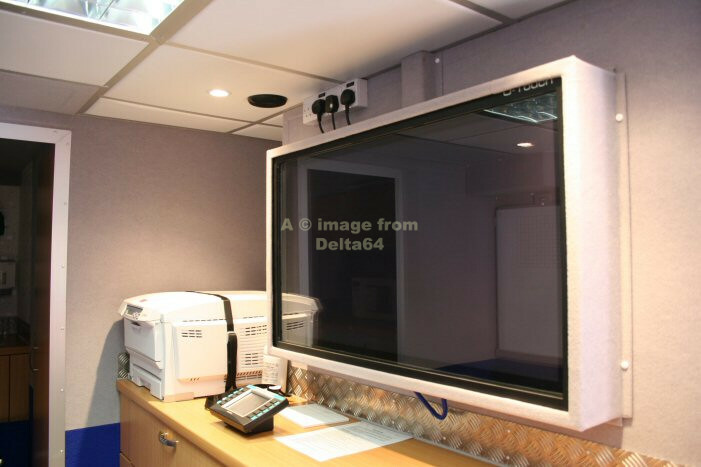 the Plasma Screen will also be used for Community Fire Safety Information when the vehicle is in Moblie Fire Station Mode. 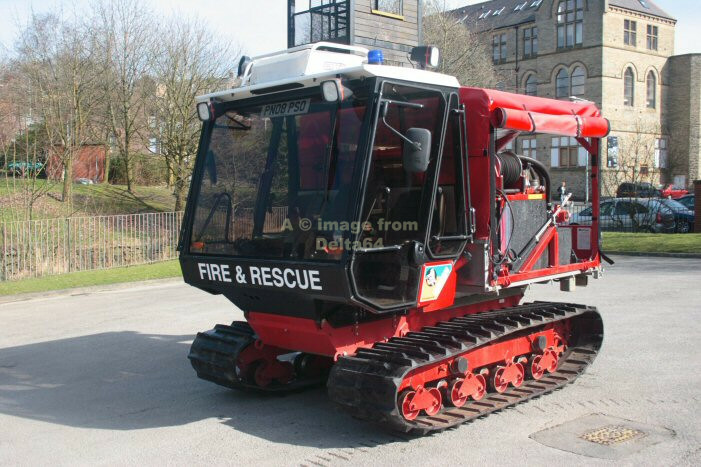 The offroad vehicle was seen at Darwen, 16 March 2009. 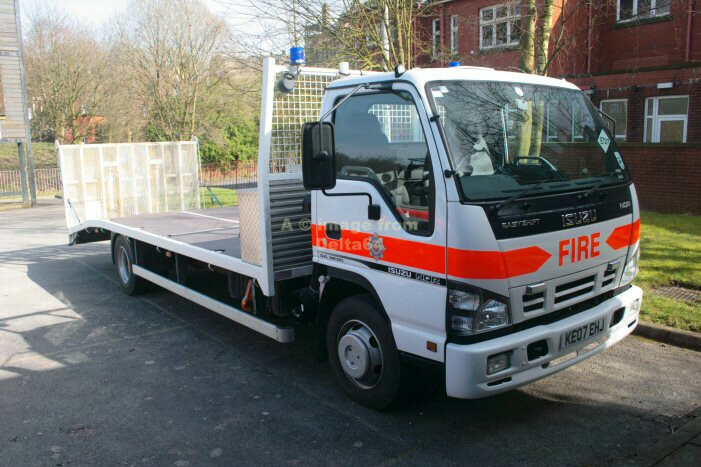 Flatback Isuzu KE07EHJ is used to transport the offroad vehicle above and was also seen at Darwen, 16 March 2009. 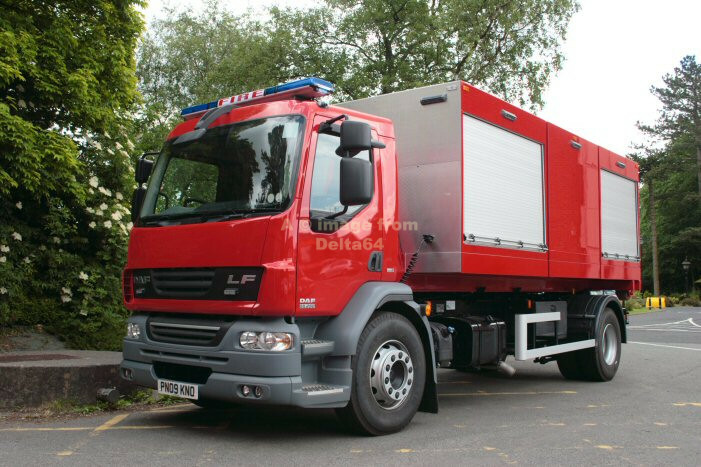 Daf LF Tractor Unit PN09KNO and Foam Pod was seen at Headquarters, 16 June 2009. 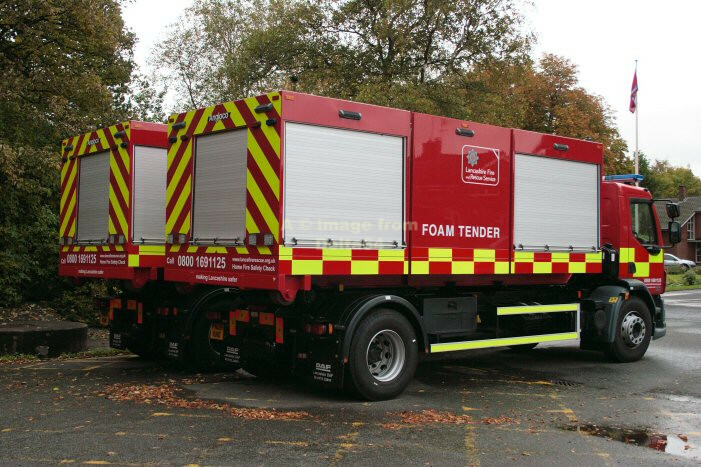 Foam Tender pods and Prime Movers PN09KNO/KNM show off the new livery at Headquarters, 11 October 2009. 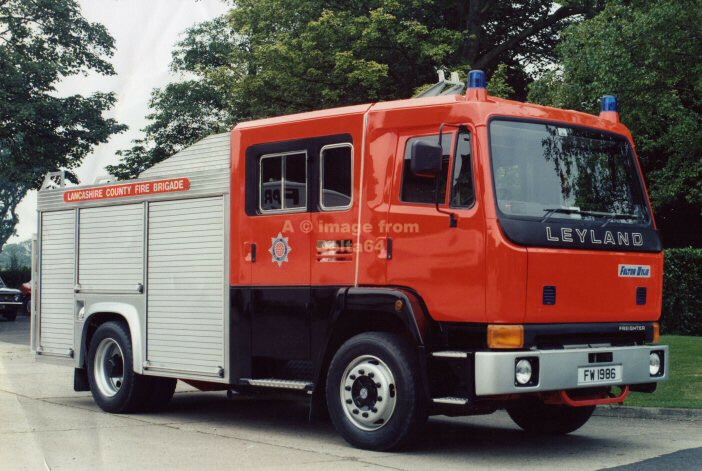 Brown's bodied Daf LF PO61BBE was seen at Leyland, 16 Novemnber 2011. PO61BAA was seen at Leyland, 17 December 2011. PO61BAV was also seen at Leyland, 17 December 2011. 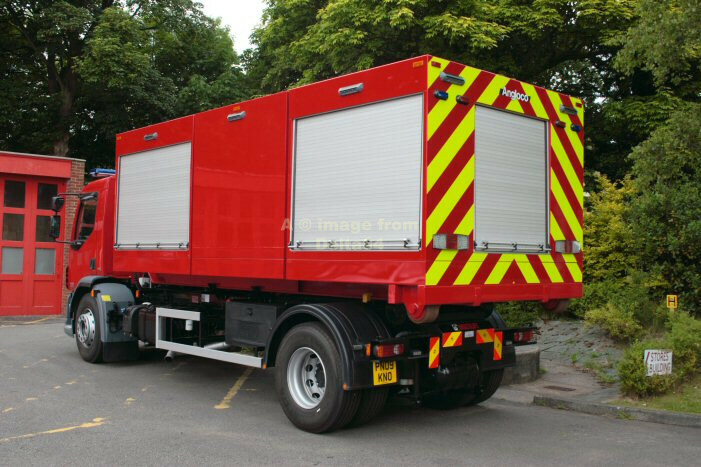 PO61BBF was seen at Leyland, 17 December 2011. And finally PO61BBJ was seen at Leyland, 17 December 2011.